Sleep deprivation affects your body in more ways than you can imagine. Constantly missing out on your sleep fogs your mind and interferes with your ability to think or act clearly. This is one main cause of accidents – be it at home or on the road. Sleep deprivation also increases your chances of developing other medical conditions and infections. These are reasons enough for you to take a stand against missing out on those precious hours of sleep. Surprisingly enough, a little effort from your end is all that is required. Keep reading to find out more. Sleep deprivation is a result of not getting adequate sleep. When an individual doesn’t get enough sleep, they are sleep deprived and feel less active the following day. The amount of sleep required varies from person to person. For example, older adults are much less affected by the effects of sleep deprivation than children and younger adults. While occasional episodes of sleep deprivation might be a nuisance, they are not of much concern. But lack of adequate sleep for prolonged periods leads to varying symptoms – including excessive sleepiness and other emotional difficulties. Before moving further, how about checking out some key points on sleep deprivation? Loss of sleep affects your attentiveness and disrupts your ability to focus on the sensory inputs of the surrounding environment. Sleep deprivation fogs your senses, resulting in fatal accidents (be it a plane crash, train derailment, etc.). Lack of sleep can also be a result of an underlying sleep disorder or medical condition. You will accumulate sleep debt if you fail to get sufficient sleep. Sleep deprivation may be triggered by common factors that are discussed below. Underlying medical conditions like obstructive sleep apnea, depression, and hormone imbalances, etc. Sleep deprived individuals exhibit the following signs and symptoms. Sleep deprivation can also disturb certain bodily processes. It increases the risk of developing respiratory diseases. It leads to obesity (due to increased accumulation of body fat). It increases the risk of type 2 diabetes and cardiovascular disease. It leads to hormonal imbalances. Knowing the symptoms and ill effects of sleep deprivation, it is important we take the condition seriously and find ways to reverse it. Listed below are some of them. A quick warm bath, right before bedtime, can enhance sleep quality (1). The next time you are unable to fall asleep, take a warm shower and see if it helps. Fill the diffuser with water. Add a drop or two of the essential oil to it. Turn the diffuser on and inhale the soothing aroma. Once daily, preferably before bedtime. Aromatherapy helps promote sleep by calming your mind and muscles – thanks to the relaxing properties of the essential oils (2). Exercising regularly has more benefits than just weight management. Regular exercise helps to buffer stress, which, in turn, enhances sleep quality (3). All electronic devices (be it your television, mobile phone, or laptop) emit blue-wavelength light. Exposure to blue light, especially right before bedtime, suppresses melatonin (a sleep-regulating hormone). This leads to neurophysiological arousal and affects one’s sleep. Quit using all electronic devices at least an hour before bedtime to enhance sleep quality (4). Regular consumption of dairy products, fruits, vegetables, and fish has sleep-promoting effects. Avoid eating large meals before bedtime – as it also can reduce sleep quality (5). A bedtime routine helps treat sleep deprivation. This can include a soothing massage, a warm bath, or even a quiet and dark environment to help promote sleep (6). Going to bed at the same time every night also prevents sleep disturbances. With time, you will see yourself falling asleep easily. Not exposing yourself to natural light during the day also affects your sleep patterns. 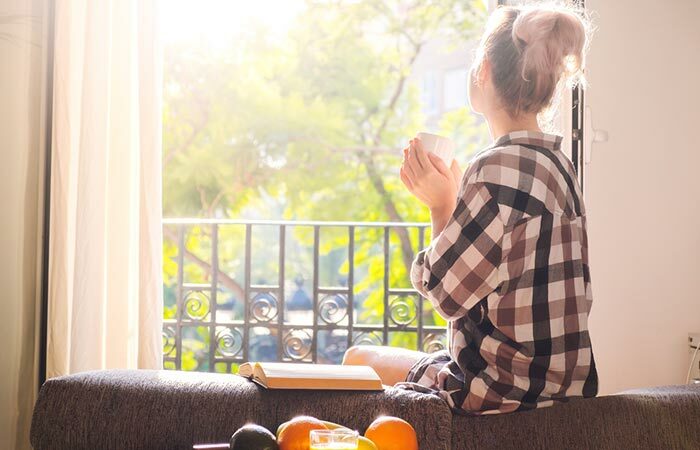 According to the Journal of Clinical Sleep Medicine, sufficient exposure to daylight is necessary for an individual’s overall well-being – including improved sleep quality (7). 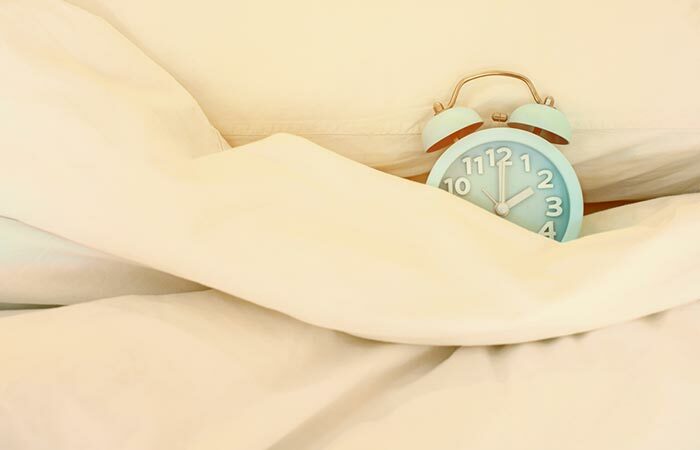 These tips should help restore your normal sleep patterns. But if they don’t, please consult a doctor and discuss your treatment options. Keep medications as your last resort, though. Was this post informative? Share your thoughts with us in the comments section below. You have to make up for the lost sleep by getting an extra hour of sleep daily. You can also add three to four hours of sleep to your cycle during the weekends. Do this until you have cleared your sleep debt. How many hours of sleep do you need to not be sleep deprived? Sleep requirements vary among individuals. While newborns may need 14-17 hours of sleep daily, school-aged children require 9-11 hours. Teens require 8-10 hours of sleep, and adults need 7-9 hours of sleep to function normally. If an individual sleeps less than their requirement (say just 5-6 hours in adults), they will be sleep deprived. Can sleep deprivation cause seizures? Yes. In fact, lack of sleep is the second most common cause of seizures after epilepsy. Yes, sleep deprivation can increase your chances of falling sick. Your immunity takes a hit due to lack of sleep, increasing the risk of disease. 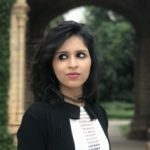 How to test for sleep deprivation? The best way is identifying an ongoing cycle of poor sleep patterns. Make a note of the hours of sleep you get on a daily basis and then present this information to your doctor. Sleep specialists can also observe your pattern using a polysomnogram or sleep study, which is carried out inside a sleep laboratory. Why does lack of sleep affect your body’s performance? Lack of sleep affects the functioning of your brain neurons, impairing their ability to encode information. Sleep deprivation also affects multiple body systems – including your immunity. “Night-time sleep EEG changes following body heating in a warm bath.” Electroencephalography and Clinical Neurophysiology, US National Library Of Medicine. 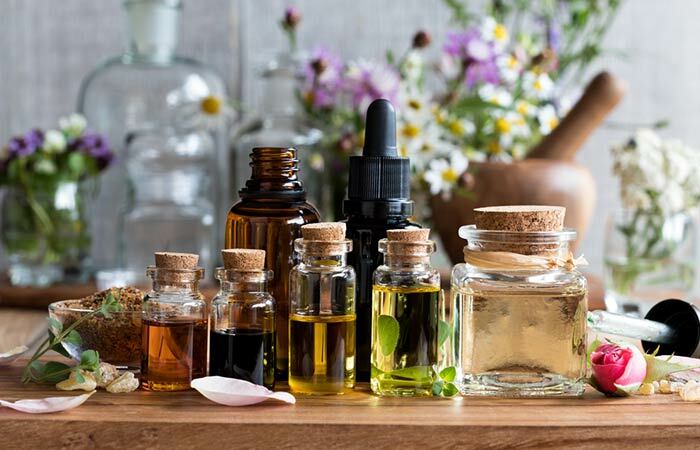 “The Effects of Aromatherapy Massage on Sleep Quality of Nurses on Monthly Rotating Night Shifts” Evidence-based Complementary and Alternative Medicine, US National Library Of Medicine. “The effect of physical activity on sleep quality, well-being, and affect in academic stress periods” Nature and Science of Sleep, US National Library Of Medicine. “Blocking nocturnal blue light for insomnia: A randomized controlled trial.” Journal of Psychiatric Research. US National Library Of Medicine. 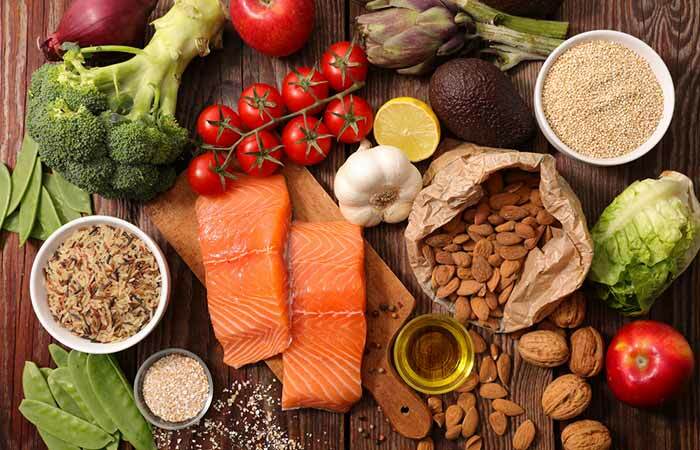 “Effects of Diet on Sleep Quality” Advances In Nutrition, US National Library Of Medicine. “Implementation of a nightly bedtime routine: How quickly do things improve?” Infant Behavior & Development, US National Library Of Medicine. “Impact of Windows and Daylight Exposure on Overall Health and Sleep Quality of Office Workers: A Case-Control Pilot Study” Journal Of Clinical Sleep Medicine, US National Library Of Medicine.